Enjoy the best inspirational, motivational, positive, funny and famous quotes by Arnold Hano. Use words and picture quotations to push forward and inspire you keep going in life! 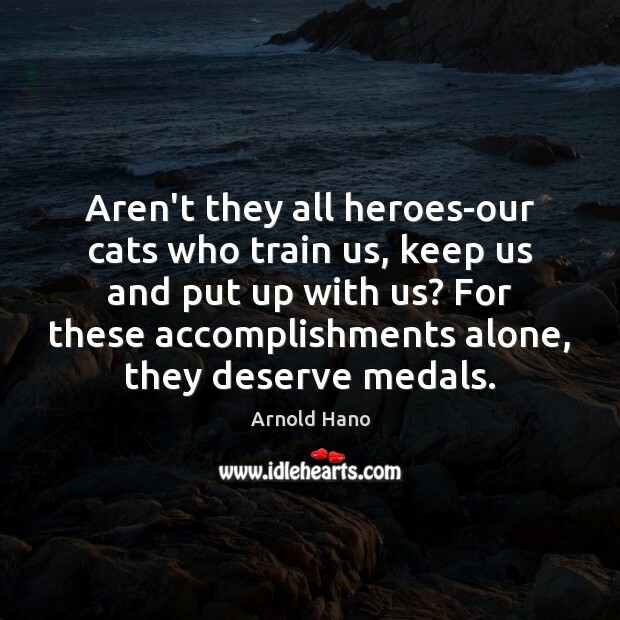 Aren't they all heroes-our cats who train us, keep us and put up with us? For these accomplishments alone, they deserve medals. 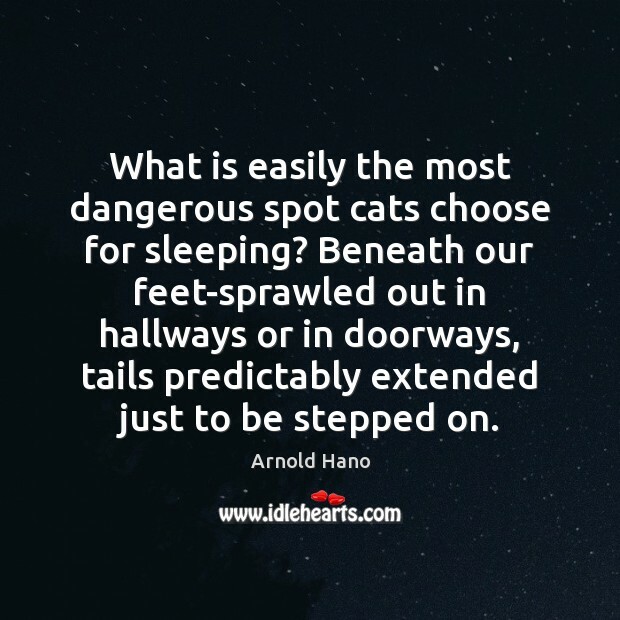 What is easily the most dangerous spot cats choose for sleeping? Beneath our feet-sprawled out in hallways or in doorways, tails predictably extended just to be stepped on.